Intentionally styling your shelves is a wonderful way of decorating your space to reflect your personality and mood. Displaying your cherished possessions, well-loved books, and special artwork in this way places a spotlight on your favourite belongings and creates a focal point in the room. Styling shelves is all about purposefully chosen objects that are functional, balanced, and aesthetically pleasing. These are my tips and tricks for creating beautifully styled shelves. The more you have on each shelf the less impact those items will make. The first step in styling shelves is removing everything (yes, everything) and editing it down to a few key pieces. Clearing your shelves allows you to start with a blank slate; an entirely empty space to work with means the end result will look much more stylised. Moving things around on the shelf without first taking everything off won’t allow you to see the space for what it is and play with ideas on what to do with it. Gather all the items you want to use. Depending on the shelf space, the smaller the items are the more of them you can have; keep large items to a minimum, one or two max, or the shelf space will quickly become overwhelmed. 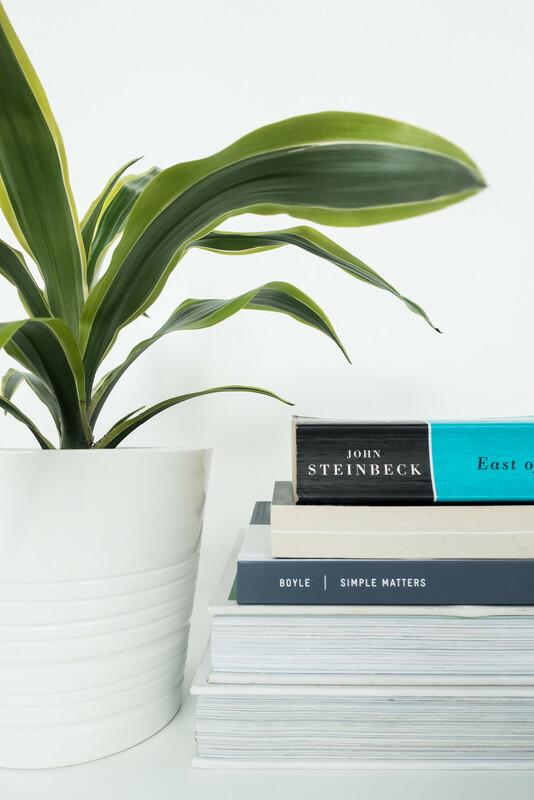 Having a purpose - such as displaying plants, showing off a book collection, or arranging objects - helps decide what goes on the shelf and what doesn’t. It also identifies which items should be more prominently on display. Shelf styling is all about displaying objects that compliment each other both in style and colour. Identifying a colour palette, whether bright and airy, dark and moody, or simple and neutral, helps the process of styling your space a lot easier. 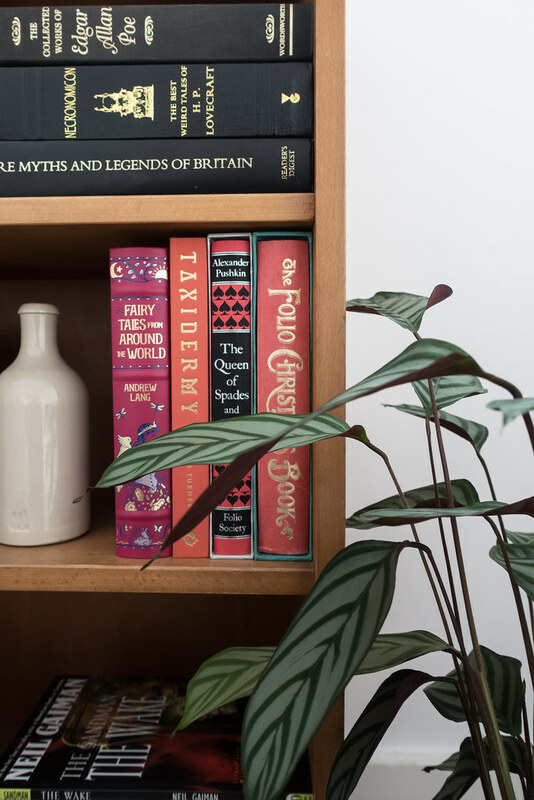 Knowing which colours you’re looking for and object types you want to include will help create a natural looking style for your shelves that isn’t forced or awkward; everything will compliment each other to create a cohesive flow to the decor. For styled shelves to look right aesthetic balance is key. Styling shelves is all about visual weight, balance, and space. 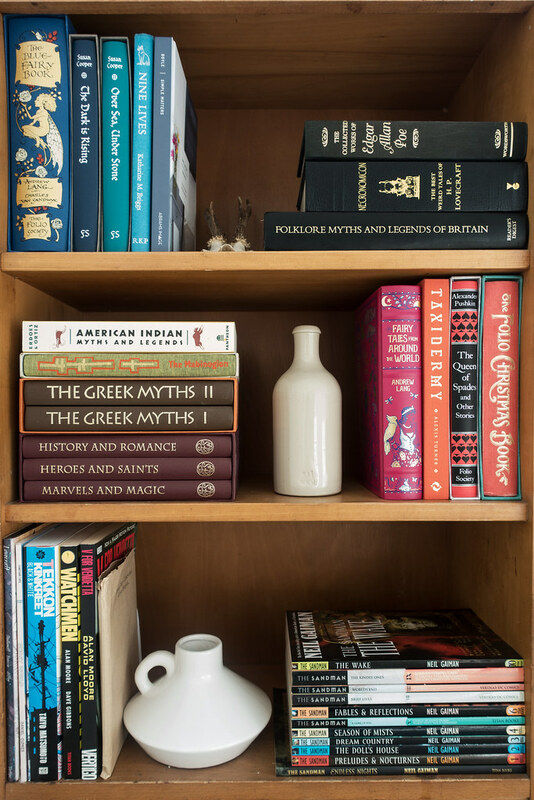 If you place large objects or a stack of books one side of the shelf, it needs to be balanced out on the other side. Play around with the objects you’re working with; step back frequently and look for symmetry. Focus on size and shape of the objects as well as their colour. Group like-items together and if anything looks out of place move it around until it fits in or remove it completely. When it comes to styling shelves objects don’t need to be displayed in traditional ways. 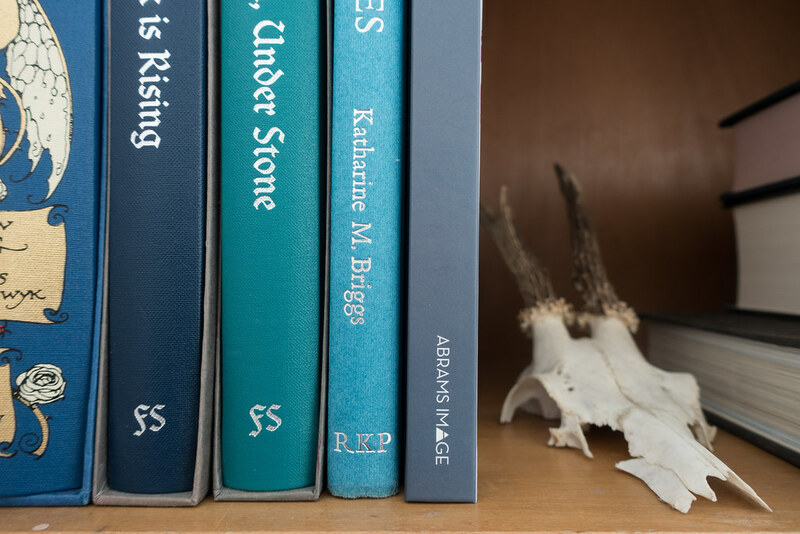 For instance, books can be stacked rather than positioned with their spines facing outward. If your shelf is going to be used to store your book collection, group a few books (always in threes or more) in stacks and others vertically, position objects in between to add interest. Grouping books together like this is a pretty way to style your books and magazines that leaves space in between for objects of interest to go. 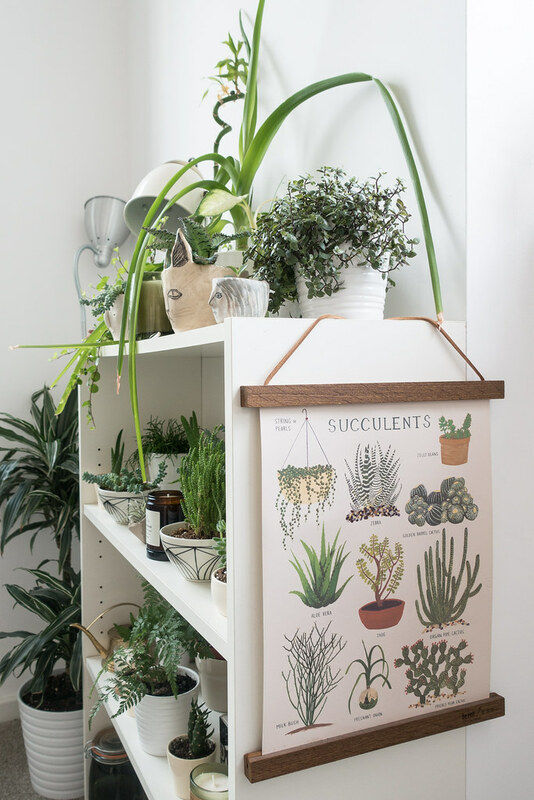 Plants are the perfect home decor item. 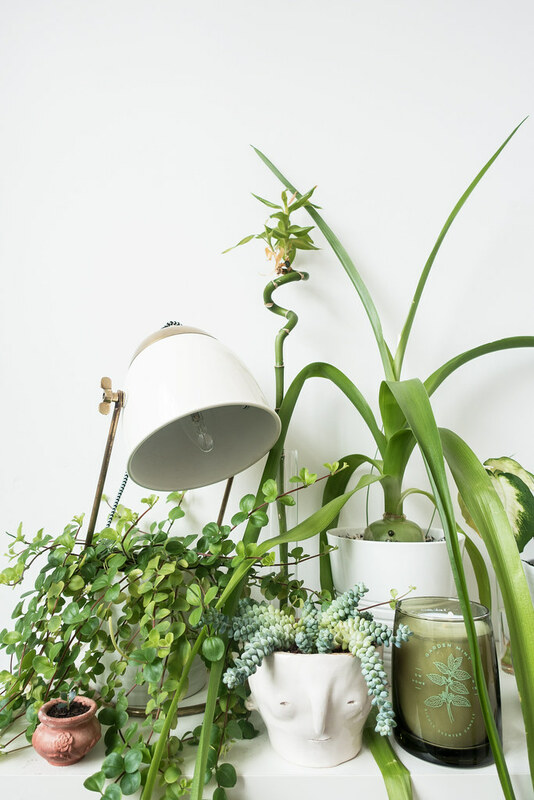 Ever-growing and ever-changing, plants add beautiful greenery to your home that grows and blooms over time. 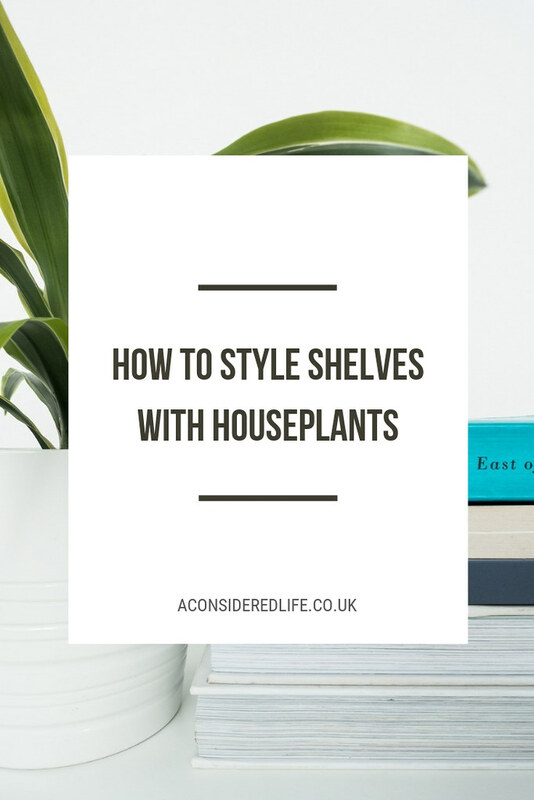 There are plenty of ways you can use plants in your interior styling, styling them on shelves is the easiest. 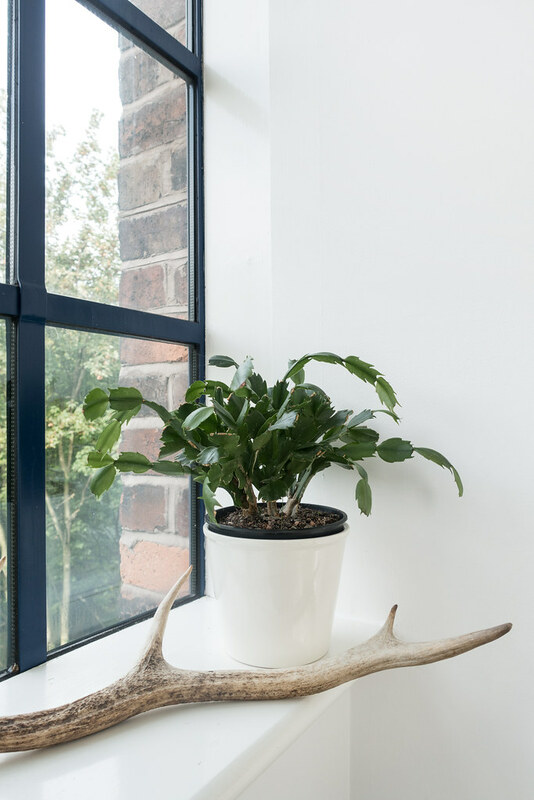 They add a pop of natural colour that brings a little bit of nature indoors but if you’re not convinced, plants have plenty of health benefits too. 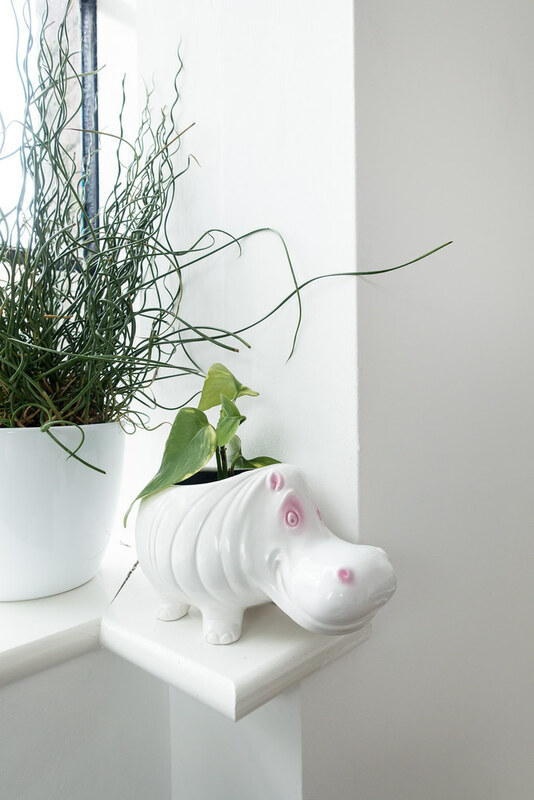 There are quite a few low-maintenance houseplants ideal for using in your shelf styling just make sure you place them somewhere they are happy to grow. Artwork isn’t just for the walls. Using art in your shelf styling adds a lot of personality and interest to the decor. It can draw the eye and create depth when used at various heights. Smaller framed pieces can be propped up on shelves and larger pieces can be balanced on the top of bookcases. Styling with artwork creates such a impact and has a dramatic effect on the look and feel of our space. If you have a large shelving unit you’re trying to fill, framed artwork is the perfect way to fill gaps to prevent the shelves from becoming cluttered with too many smaller objects. We often have a bunch of things we love in our home but we don’t always display them like we should. You might not be one for traditional ornaments, knick-knacks, or pointless objects (I know I’m not!) but think about the objects you do love and use, and could use in your styling efforts. 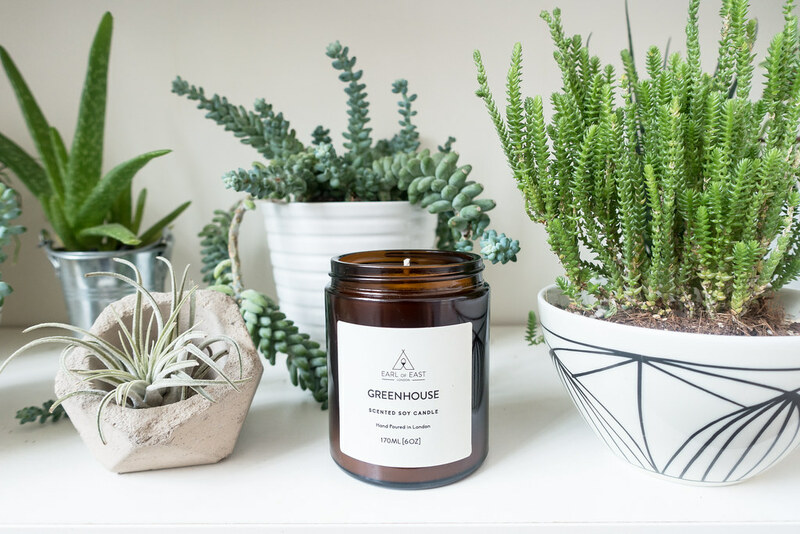 Candles, trays, wooden utensils, scissors, lights, plant misters, bell jars, office supplies, pots.. the list is endless. Find the prettiest objects in your home and display them proudly, even if they aren’t typical home decor items. Think of all the items you love and hide away in drawers, couldn’t they look so much better with a little styling on your shelves? Once you’ve styled your shelves don’t think they have to stay that way. Refreshing the styling of your shelves is a simple way of keeping your home looking fresh. Change things up often by moving objects into different rooms, changing the stacks of books, adding new plants, or switching out artwork for new pieces. Refreshing the style of shelves in this way keeps your home looking fresh and interesting.